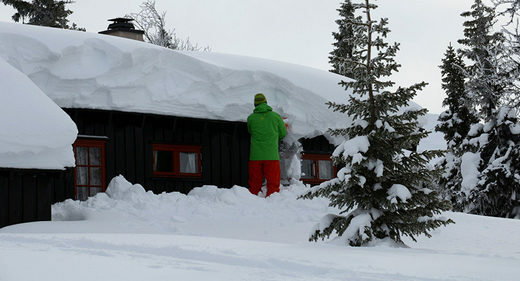 The rare weather phenomenon has emptied the Nordic country's wood reserves and has been described as having a "vacuum cleaner-effect" on stores, prompting consumers to travel far and wide to meet their demands. Suppliers in parts of Norway are completely out of wood amid an unprecedented wave of cold that has swept swaths of Europe, national broadcaster NRK reported. A strong cold front from Siberia, which is said to have resulted in the coldest winter in the past 60 years, with the quicksilver plummeting below 30 degrees in parts of the country, which generally enjoys a relatively mild winter owing to the Gulf Stream. The onslaught of cold has led to an explosion of photos hashtagged #sibirkulde ("Siberian cold"), but also boosted wood sales to an unparalleled level, resulting in drastic shortages across the nation. "We are calling around and trying to procure what we can from suppliers, primarily through the agreements we have, but the current status is that everyone is empty," Svein Jensen, manager of Coop Midt-Norge, told NRK. So far, Coop has already sold 40 percent more this season than it did during the whole of last winter. To illustrate the demand exceeding the supply, the batch of 1,760 40-liter sacks of wood received in Lade, Trondheim on Saturday, was sold out by noon the very same day. "It was almost like a vacuum cleaner, it was gone right away," Coop Lade manager Rune Bakken explained. Bakken has noted a change in consumers' habits in recent years. Instead of stocking up in the autumn, buyers tend to spontaneously buy out the shops when the cold sets in. He also noted that there are fewer and fewer domestic producers, which makes it harder to meet the spur-of-the-moment demand at short notice. This season alone, the warehouse has received 160 truck deliveries of wood, mainly from the Balkans. The demand for wood has skyrocketed in other parts of Norway, including Hordaland, prompting consumers to travel far and wide to procure the coveted amount of fuel. According to Trond Fjørtoft, who runs the Kortreistved website, described as "the Uber of wood delivery," the Oslo department has seen an "insane" rise of orders from Bergen, located almost 500 kilometers away. Although Norway is renowned for its dense forests, prices and environmental policies make it difficult for the Norwegian forest industry to compete, which, in turn, makes the Nordic country increasingly reliant on supplies from Russia, the Baltic States and neighboring Sweden. At the same time, the Norwegian forests are growing like never before, their volume having tripled in the past 90 years. Today 37 percent of Norway's land area is covered by forest, but the Nordic nation still imports tons of wood from abroad, which is problematic, according to Trond Bjørkås of the Norwegian Agrarian Association. "Locals cannot compete with imported goods, and this is regrettable," Bjørkås told NRK. Magne Pedersen, general manager of the Salten skogservice company, conceded that it was indeed paradoxical for Norway to buy wood from China, while leaving its own forests untouched. "Ready for ice fishing in Bjørnefjorden! Have never seen anything similar before. Regards from 46 year old west-coaster." If you a bunker or a bug-out site AND plan on using wood for heat...well here's another necessity to stock up on. The next best time to plant a tree? Still have to read the relevant article BUT have been burning wood for years and am actually cutting up a PILE now. Dammit scuba steve we have dam near a whole shed of wood in box's and even fertilizer bags which we put on palate. speaking of which....I have to tender the stove. Yeah, I got a pile of wood out there, I too, burn wood. Outdoor wood boiler heats two homes, mine and my son's. I buy the logs off a local logger - one load a year. We do have LP gas furnaces in our homes, the wood shaves the load off the LP in the colder months. Getting almost to the time when I'll have to let the wood fire out until next year. I was just about done cutting this year, but the recent much hyped "cyclone bomb" presented me with a lot more raw material. Everything came down where I can't ignore it. Good news is a few trees were standing dead wood, so I'm gonna just chuck it right in the wood stove. As far as Norway goes, maybe they can heat with some hajabs & burkas? I buy the logs off a local logger - one load a year. You must have a huge house. Huge?? They be just a couple vans down on the river bank! Have pretty much had a fire going since last October. Next winters wood has been under cover since last spring. I've had a year or two where I was too busy and didnt procure enough wood and thats a pretty bad feeling. Theres a ton of Weyerhaeuser property close by, so I've been buying recreational permits the last couple years. Camp, Hunt and cut firewood. When they log they leave logs on the side of the road for permit holders, anything 12' and under is fair game. Weather permitting, I'm hoping to get back up there next month. We had a really cold winter in South Florida back in 1989 and no heat in the house. All we had was a gas pot belly stove in the LR to take the icy edge off and a fireplace in the family room at the back end of the house. We burned all the oak firewood and then started on all the leftover wood scraps my dad had in the garage. We burned everything except the 4' x 8' sheets of plywood. We even burned pieces with Formica on them. We then used cut up pallets snatched from Home Depot. It was so cold we were looking at the furniture figuring how much it would cost to replace. FYI, Formica sometimes pops like a gunshot when it burns and it gives off a toxic gas. Nobody cared because we were freezing. I am laughing here because I have burnt the furniture, really I have. Twas a bad heavy snow winter. But hey look'ie here "we are all still alive." Unless you have a dependable supply of wood it only makes sense to have other ways to heat. Ideally you need about 10 acres to be wood self sufficient. Wood heat is not for people who don't plan ahead. 1. We have a state statute that requires us to keep our trees cut back so many feet from the center of the road. You can ask landowners if you can cut trees along their roadway. Most landowners are happy to have someone cut and remove the trees to comply with the law. 2. After a storm, there is alot of down trees. You can ask home owners if you can cut up the trees, in exchange for the wood. 3. If someone is clearing out woodland (building site, etc. ), they are usually happy if you cut out the trees and remove the wood. 4. When the contractor that works for the power utility, finishes cutting down trees along the power line route, they leave the logs behind. Most landowners would be happy that you hauled them away, otherwise they sit there to rot. Most of our trees is oak and ash. You can obtain free wood, is you ask. I forgot to mention that house in South Florida had drafty jalousie windows and little insulation. If you have ever seen a late 1950s CBS construction South Florida home you know we froze our bones off. We lived on a lake and the wind would whip over the water right through the house. We were so poor that my dad didn't run the a/c during the day ever and only at night in the deep sweltering summer. My sister and I had to get by on cheap Kmart box fans while falling asleep in a sweat. I've cut plenty of free wind fall firewood. Keep your eye on Craigslist after big wind storms, it goes pretty fast. I do it partly out of principle. Money not paid to oil/energy corporations and all the parasites in between. Even if I pay some local (cash under the table) to fetch and stack my wood, as I have done on occasion, the cost is still less than any other method. It's warm in my house even if power is out or propane tank is empty. Besides, my acreage generates all that deadwood as yours does...gotta do something with it, might as well burn it in the wood stove. edit: It's good exercise, too. Where I live, there is plenty of free firewood in the national forest, as part of an ill-conceived forest thinning project.. TPTB require you to get a permit, but anything dead and down is free for the picking. up to I think it's 8 cords a year per person. I pay a guy $50 a cord to haul it to my house and I've got 4 cords of bone-dry alligator and shaggy juniper split, stacked and ready to burn. In my late teens and early 20's I lived in SW FL. My first apartment ever was an efficiency unit commonly known as the roach motel. Drank a lot of beer and sweated. Worked most of the day with no shirt. Didn't seem to bother me much than. Did I mention I drank a lot of beer? With my arthritis raging, I am having a harder time dealing with cold weather. We have a little Jotul 3 wood stove parked on the fireplace hearth and stove pipe running up past the damper just into the smoke chamber. 8" oval pipe is not available any more around here. Another 2' section wood (funny) get me into the clay liner but has been working ok as is. We had a Maple tree split close to the road and had a tree service cut the rest of it down. They left the lengths and I've been slicing and splitting (could use that ten year old smooth over here swinging the maul for me) and then burning as needed or more like when I can physically get to it. Doesn't burn all that hot but it is an alternate source to cut into the electric heat bill. 1 cord of dead fall per acre of woods. I burn 3 full cord per winter. Kitchen Queen cookstove, 800 square feet, west central Wisconsin. The cost to cut and process Norwegian wood is too expensive to compete with the imported Chinese stuff. Of course we ALL know if people are freezing and dying they will either pony up the kroner for the local wood or they will steal it. Until that level of desperation sets in they will buy the Chinese stuff if it's available. Failure to plan is a plan to fail and who the hell knows what's going on with currencies? YUP, THEN a helpful beetle, & his family/friends, come thru & kills 17 trees & gives you more firewood than you can handle. I still have more than 100 logs of 16 inches to split & stack. Been burning a lot of ash trees. Ash bore got a few for me. I still have several young ash trees that survived it - so far. I do cut out any dead trees or falls, usually in the fall or winter, but with falls, especially if it falls into the crop fields, I cut up and clean out of the field. I do buy one load a year off a logger - so far I have not touched the pile I made from that load. Some logs I pulled for my sawmill, the rest is all cut, split and thrown into a pile. The logs are mostly just what would be sold for pulp wood at the paper mill. OK, I finally got my logs out of the forest, to get them split up & they have mushrooms attached. Is it toxic, or not, to burn theses with the mushrooms attached ? The logs will be fine. Some of the mushrooms might be edible/medicinal, like pleurotus (oyster), maitake, and ganoderma (reishi). Your in the area for those and many more. Take some closeup pics of some of the mushrooms. I might be able to identify some of them. Yeah the mid-high 50's can be brutal! I have David Arora's book "All the Rain Promises & More" BUT I CAN'T FIND THE DAMNED THING !! Here are the photos, I'm pretty sure that one is "Turkey Tail" & as I recall, it is medicinal. That ^^^ made me laugh until I near lost supper. Where I live we get 100% of our heat from the sun. No wood needed! Is it toxic, or not, to burn theses with the mushrooms attached ? Seems to me, that if this was a concern, whenever there was a wild fire, folks downwind would suffer whatever you are concerned about. If it was truly harmful, the government would outlaw forest fires.